The objective of these schemes is to reduce gold imports by India and bring to the active economy gold that lying idle in Indian households, estimated to be in excess of 20,000 tons. In an effort to reduce the current account and trade deficit, the government of India came up with three relatively new gold schemes. The objective of these schemes is to reduce gold imports by India and bring to the active economy gold that lying idle in Indian households, estimated to be in excess of 20,000 tons. Reducing gold imports has been targeted by the government as an effective tool to control the trade deficit due to the whopping quantities of gold imported by Indians. In the year 2015, the worth of gold imported by Indians amounted to US $ 36 billion. The Gold Monetization Scheme encourages gold owners to deposit their gold in the banks and earn interest from it. The bank makes active use of this gold by lending or selling this gold to jewelers or other banks thus the scheme works similar to a fixed deposit with a minimum tenure of 1 year but with a provision for premature withdrawal should the need arise. In this scheme, the government offered exemptions in capital gains tax; taxes on interest earned and have recently tweaked the scheme to allow medium term deposits to be withdrawn after three years and long term deposits after five years. These efforts have seen the government attract approximately 3 tons of gold through the scheme. This scheme’s intent is to convert the demand for physical gold, as an investment avenue, to paper gold. 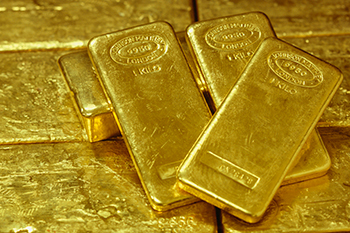 Rather than buy physical gold, investors would buy paper gold. The bond has tenure of 8 years and a minimum lock-in period of five years. The sovereign gold bond could result in a US$2bn saving on gold imports in the year. The first tranche of this bond was issued in November 2015 and saw 62,169 applications for almost 916 kg of gold valued at Rs 246.20 crore. The second tranche of the scheme, which was opened for subscription on January 2016, attracted 3.16 lakh applications for slightly fewer than 2.8 tons of gold valued at Rs 726 crore. The government has as well made this scheme attractive for investors by offering tax exemption on capital gains tax (for those who will redeem at maturity) and has added an interest component of up to 2.75% per annum to the investor’s benefit. There are many possible repercussions (both positive and negative) on both the micro and macroeconomic perspectives to these moves by the government. Everybody ought to be aware that these are ventures by the government are geared to accelerate economic growth. Through these gold-linked schemes the government has managed to creatively and significantly reduce the gold imports and translate previously idle gold to the active economy.